Yesterday’s Kells road races in County Meath, Ireland, were called off after what race organisers described afterwards as ‘horrendous’ conditions. Originally scheduled for an 1130 start, torrential rain flooded a large part of the track, leaving racing unable to get underway. 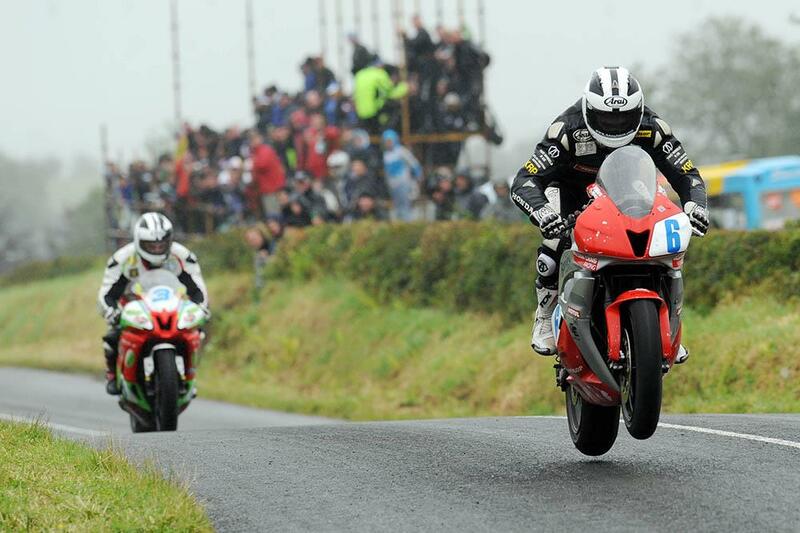 One of the most spectacular tracks on the Irish national scene thanks to its two huge jumps, the race regularly attracts the top names in road racing and upwards of 10,000 people. William Dunlop was the biggest name in attendance, taking pole for the superbike class from Michael Sweeney and Derek Shiels during Saturday’s qualifying sessions.